1 Minute Wander is setting YOU the challenge of becoming a documentary filmmaker yourself. Do you have what it takes to tell your story in 60 seconds? 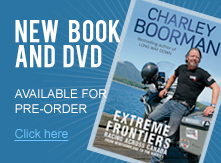 Charley and Russ want you to make a documentary about any topic you like, for us to feature on the Extreme Frontiers site. These films are a chance to express what is important to you. 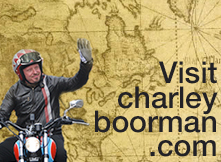 Are you heading to a big motorbike rally, or taking part in an extreme adventure? Maybe you have discovered an exciting new hobby or you know someone who has recently conquered a personal challenge? We want to know about it. The only but is that it must be 60 seconds or less. If you think you have what it takes, then create your 60 second video, upload it to Youtube and send the link to 1minutewander@bigearth.co.uk with a brief description. We will post these videos on the Extreme Frontiers site for everyone else to see and Russ will choose a winner from each category who will win a fantastic prize. 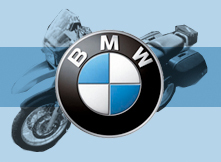 There will also be one overall winner who we have a fantastic prize waiting for – to be announced. So what are you waiting for? Get filming and show us what you can do! Your film can be an uncut 60 second clip shot on your phone, or a professionally shot film edited on AVID or Final Cut, just use whatever is available to you. What is important to us is the content. Please make sure you have the right to use any music or images contained in your 1 Minute Wander. Anything that is breaking copyright law will not be able to be entered into the competition. 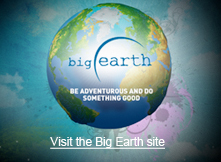 Big Earth own all rights to any videos submitted, and can distribute/ use for promotional purposes in anyway they wish. Big Earth are not responsible for any damages or injuries caused in the creation of a 1 Minute Wander, all documentaries are made at your own risk. We can only accept 3 entries per person, so make them count! Prizes for each category are still to be confirmed, but trust us, they are going to be awesome!